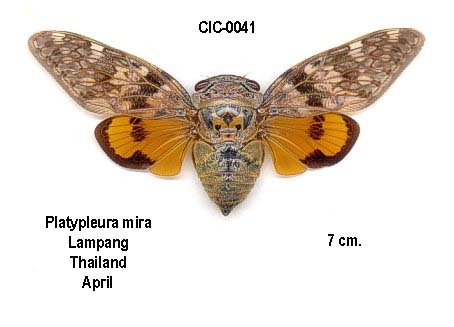 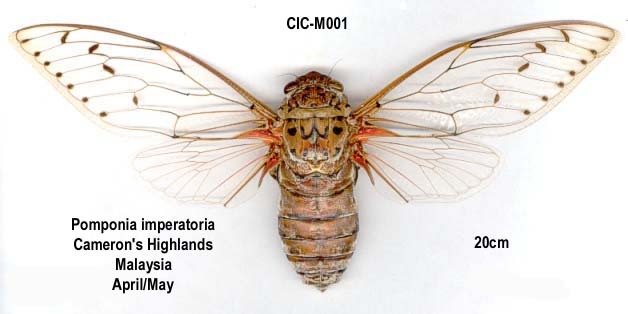 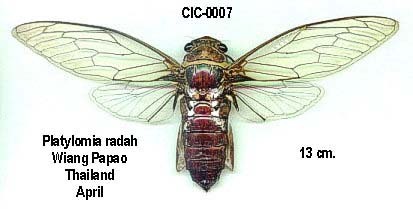 Trengganua sibylla (Stål, 1863) is a cicada found in south-east Asia, specifically peninsular Malaysia and Thailand. 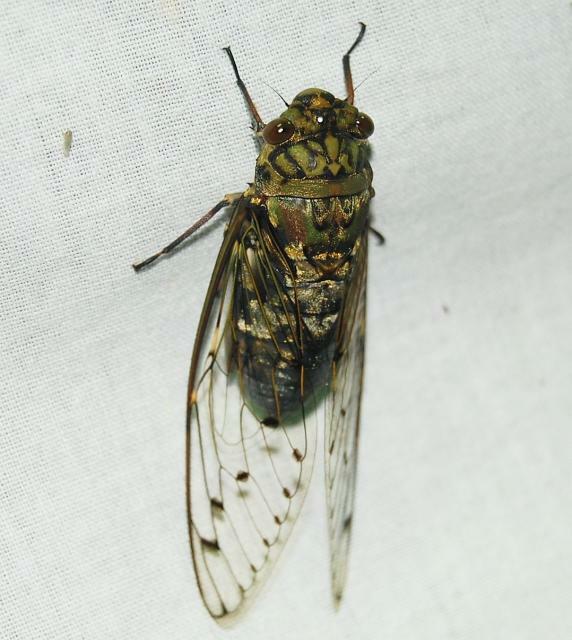 When found in the wild & alive its wings are green and black, but the green turns yellow after death. 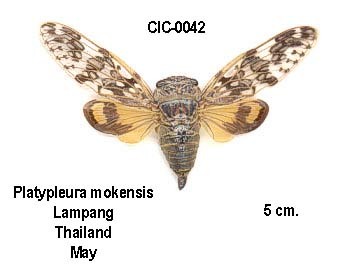 Here’s a video of a living T. sibylla.